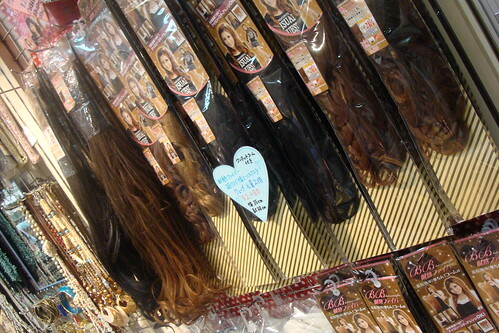 Hair extensions continue to soar in popularity in London. Like the name suggests, these stylish accessories help hair look fuller, longer, and thicker. They are also easy to apply and simple to remove when not in use. Hair extensions help women look and feel great. They also boost their confidence at work or play. While hair extensions are made from real hair, other popular types include remy and even synthetic versions. No matter which type of extension you need, you are guaranteed to look dazzling at social gatherings or a night on the town. The best part of extensions is that they save a lot of time. In fact, so many women simply apply them as opposed to lengthy and pricey hair spa treatments. In recent years, mobile services have truly impacted a number of industries. Today, there are several commercial fields and sectors that utilize and reap the awards of mobile services. This includes the hair extension and hairdressing industry, which facilitates the needs of countless customers across London. With a mobile hairdresser, you are guaranteed timely and punctual services. With years of extensive industry experience, these experts understand all the latest styles, trends, and genres. Whether you need hair coloring, trimming, cuts, highlights, or cost-efficient hair extensions, your stylist will make you look a million bucks! There are other benefits of using mobile hair extension services as well. For one, it is much cheaper than and more convenient than going to a salon. While salons and spas are certainly elegant and lavish, the waiting times can be tedious and frustrating. You also have to schedule an appointment with your favorite hair stylist or dresser. Depending on the current holiday schedule, he or she may not even have available appointments. Instead of time consuming and pricey services, why not enjoy professional hairstyling from the comfort of your own home? With personalized consultations and service, hair extension professionals will truly achieve your desired results. If you truly want to save money this holiday season, mobile hairdressers will meet your needs within time and budget. Not only are they on time, they are also available for emergenciesl. This includes styling for last minute banquets or romantic candlelight dinners. With mobile services, you can also save on gas, driving, and commuting costs. The best part is that you have several hair extension styles, colors, and textures to choose from. This means you can secure a fresh and new look every time you step out of the house. More info about hair styles. For other articles about looking good with long and short hair and what celebrities do with their hairs check here.